Soloprom has decided to devote a special location for construction of a manufacturing plant for the Services segment and the Retail sector. It was equipped with the latest technology for wood processing and trained staff to assure the quality of the output result of the machines they are operating. 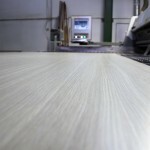 Board cutting (chipboards, MDF, low density fiber boards..). 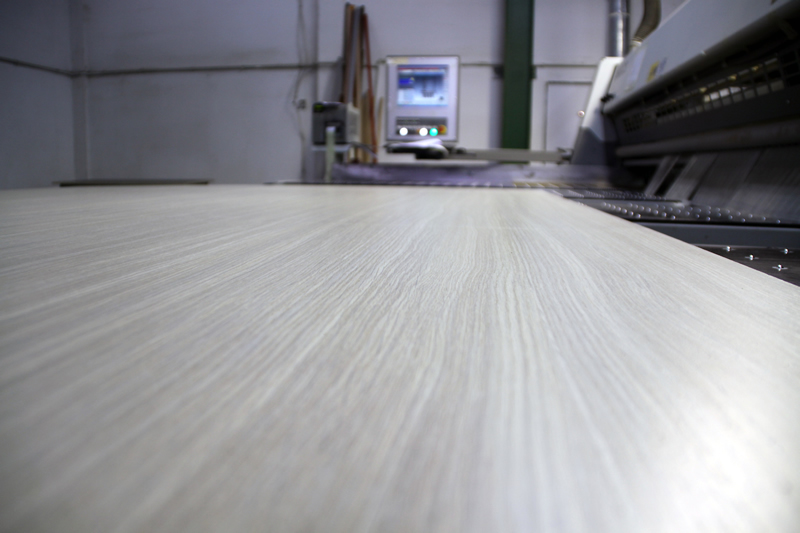 For this we provided board cutting machines. They are equipped with sophisticated computer system, with little room for any errors, and the outgoing material undergoes mandatory inspection by the person supervising the cutting process. In order to assure the level of cutting quality, the machine is under constant supervision and maintenance to make sure that the blades are always sharp. We have two banding machines for the process. In case of increased workload, both are operating to prevent delay. Banding machines are very delicate equipment. They are very sensitive to change of material surface that is being processed, thus, require constant monitoring. Trained staff makes sure to remove any products that do not comply with the quality standards. All of this is complemented by constant internal trainings, which increase the competences of the responsible personnel, and contribute to maintaining the high level of quality. From the most ordinary round routing of the material (and round edge banding) to the most sophisticated profiling, hinge drilling and perforating… This is just a small drop into the ocean of possibilities offered by this piece of equipment.